Lee Jong-hyuk is a South Korean drama, movie, and theater actor. He is best known for his role in the 2012 romantic comedy series, A Gentlemen’s Dignity. 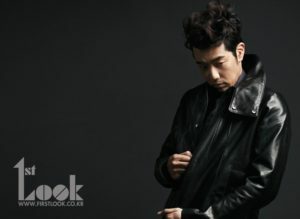 The 43 year old actor also appeared on the variety show Dad! Where Are We Going? in 2013-2014 with his youngest son, Lee Junsu. Now let’s find out more about this multi-talented actor, Lee Jong-hyuk! A Gentleme’s Dignity is a 2012 romantic comedy drama starring Jang Dong-gun, Kim Haneul, Kim Suro, Kim Minjong, and Lee Jong-hyuk. It aired from May 26 to August 2012 on SBS every Saturday and Sunday. It has a total of 20 episodes. It was directed by Shin Woo-chul and written by Kim Eun-sool, the same writer behind the hit drama Secret Gardem, Lovers in Prague, and Lovers in Paris. This drama follows the story of 4 men in their 40s who have been friends since they were 18 years old. It is about their careers, love lives, breakups, and failures in their life. 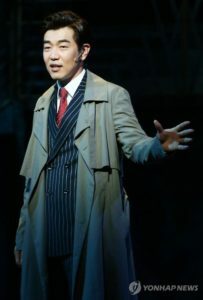 The 4 men is Kim Do-jin (Jang Dong-gun), who is a confident ladies man who owns architectural firm with Im Tae-san (Kim Su-ro). The 2nd guy is Im Tae-san who is a partner in Kim Do-jin’s architectural firm and a member of the Blue Cats baseball team. The 3rd guy is Choi Yoon (Kim Min-jong), who is a lawyer and is recovering from his grieve of losing his wife 4 years ago. And the last is Lee Jung-rok (Lee Jong-hyuk), who is a player and an owner of Mango Six cafe and bar and has married to a rich women. Check Out Shinhwa’s Andy’s Latest Song Here!